Would you like to create some magic in your life and work? I’ve been performing magic tricks for over 18 years, but I’ve recently discovered a way to create real magic. I’m not talking about incantations, spells or Harry Potter-esque wizardry. I’m talking about a tool that has allowed me to make some very real, positive changes in my productivity, outlook, and well-being, and it can do the same for you. Power Words (which I previously called ‘themes’) are a simple way to create real change in continual, tiny steps. A Power Word (PW) acts as a personal theme for a period of time. It’s really pretty simple. You just choose a word or phrase about something you want more and apply it to your daily life using various tools. Last year, my PW was Gratitude. Every day I would post a photograph of something I was grateful for on Instagram. That simple daily action had a cumulative effect that changed my life for the better and helped me get through one of the hardest times in my life. You can read more about that experience here and here. Power Words help you create and cultivate positive qualities in the present moment. PWs help you create clarity, purpose and passion. It’s easy to underestimate the effect of committing to a PW, but they really do work. The ability to better recover from setbacks. Power Words work best when they are harnessed with regularity. I’ve found that a daily commitment works well. (You can read more about how to really harness the power in last week’s article.) If I go too long between taking action, your PW can go stale. Like a shower, the effects only last so long. 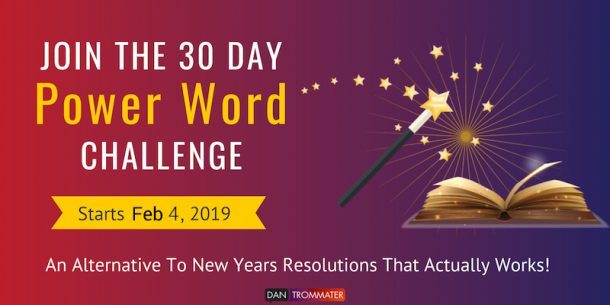 My commitment to my 2016 Power Word ended on December 31, but at that time I hadn’t decided on a 2017 PW, so I simply stopped my daily Instagram posts. I was surprised at how quickly my mood dropped! By the end of January, I felt less energetic, less positive and generally more cranky. To be fair, I’m sure there were other factors – post-holiday blahs, lack of daylight (January in Toronto isn’t exactly a tropical paradise), etc. But I think the biggest factor was a lack of action on my PW commitment. It was around that time that my amazing friend and Positive Psychology expert Martha Munroe chimed in. She knew how well Gratitude had worked for me and suggested that my next PW could be ‘Savouring’. At first, I thought that it seemed indulgent and a little entitled. “Oh, look at me and how much I have to savour…” But after thinking about it a while, I realized that one can savour anything – not just the ‘good stuff’. You can savour every thing, person and experience in your life, whether it’s positive or negative. Really, savouring is just another word for ‘mindfulness’. That was one of the drawbacks of using Instagram as my daily tool for harnessing Gratitude. I found that I’d constantly be on the lookout for something to capture in a photograph. That, in and of itself wasn’t the problem. The problem was that once I found that object of gratitude, I’d often snap a photo, then immediately post the photo on Instagram, without actually experiencing what I was grateful for. So this year, I’m keeping Gratitude, but adding Savouring. So far, it’s working great. I am constantly on the lookout for all the things I have to be grateful for, and I also remember to soak in the moment before jumping on to the next thing. So much for me – what about you? Are you ready to tap into the power of Power Words? 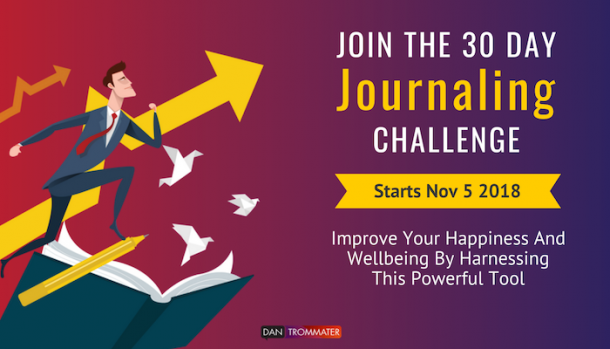 I’d love to share in your journey. I create my (near) daily Power Word posts on Instagram, but you can also use Twitter. 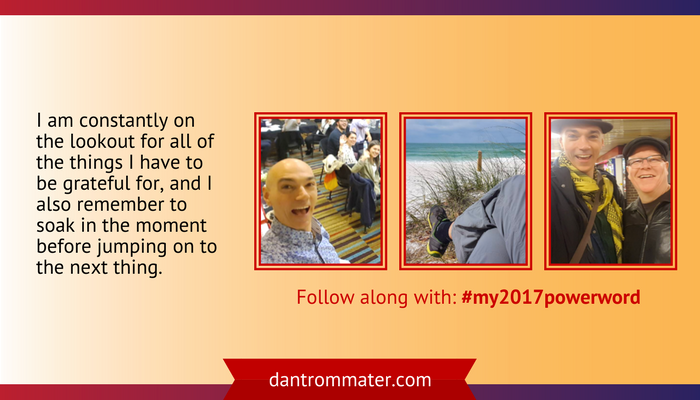 Tag @dantrommater and use #my2017powerword to share your posts with me. If you’d like some help in choosing a PW and learn some tools to really get the most out of it, check out: The Little Book Of Power Words grabs a free copy of The Little Book Of Power Words. Great post as always, Dan! 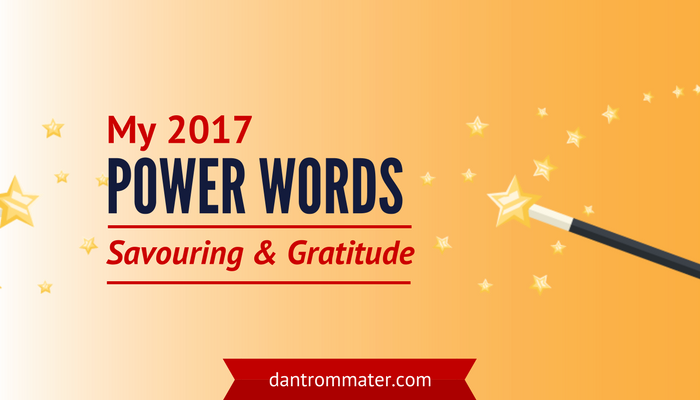 My power words this year are gratitude and confidence. Like you last year, I’m learning how powerful it is to be appreciative of the wonderful opportunities and people around me – but I’m also realizing that it’s boosting my confidence, which motivates me to do more for those around me. Love your comments about being more mindful. Here’s to 2017!